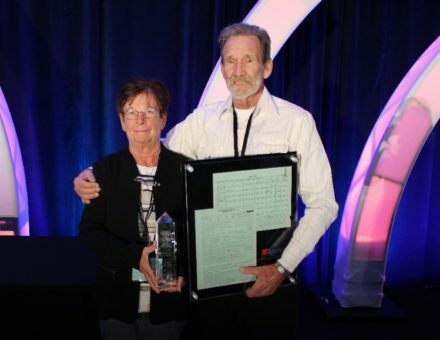 INDIANAPOLIS – Announced recently at the Wheaton World Wide Moving 63rd Annual Partnership Conference, Paul Seiffert was awarded the Stephen F. Burns Extra Mile Award. Seiffert, a direct lease driver for the van line, recently retired after a remarkable 56 years behind the wheel. The Extra Mile Award was introduced in 2000 to acknowledge an agent, driver or corporate employee of Wheaton who performs the extraordinary every day. In 2011, the award was renamed the Stephen F. Burns Extra Mile Award in honor of the company’s Chairman of the Board. Award winners’ attributes include unselfish contributions to the Wheaton system and adherence to the company’s mission and values: Treat everyone honestly, fairly and professionally.